Devin is an outgoing FileMaker developer who is easily approachable and places a high value on collaboration and supporting others. His focus on developing strong working relationships and making a positive difference for clients are at the core of his approach to building solutions to business problems. 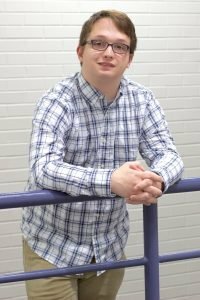 With a formal concentration in Web Development, Devin graduated from Indiana University – Purdue University Indianapolis with a Bachelor’s Degree in Computer and Information Technology. Outside the classroom, he gained additional experience working on freelance web projects and volunteering as an instructor on computer and internet use for senior citizens. Devin is a lifelong learner by nature. Even in his free time, he continues to pursue additional knowledge about computer science and programming. When he is not tinkering with technology, you are likely to find him enjoying his interest in music and his impressive collection of over 300 records.